Believe it or not, there's a boatload of sub-genres in Dubstep, which is itself a sub-genre of Drum & Bass. 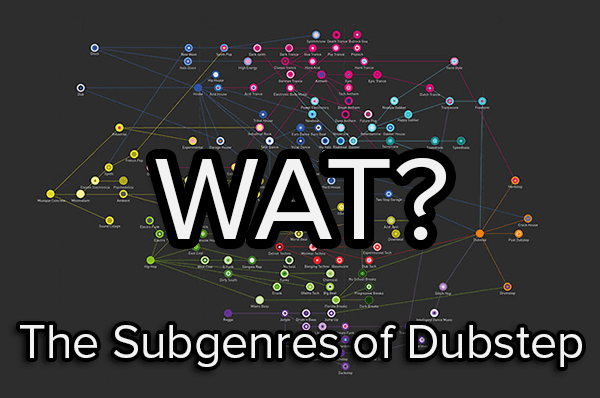 You could go as far as to call these sub-sub-genres, or as I like to call them: Sub-Dubs. It wasn't always this way. I blame the advances in computer tech. Everyone and their mom can now buy dubstep creation software for cheap, watch a few tutorials, create their own special snowflake style of Dubstep, and upload it to Soundcloud and Reddit... all within about an hour's time. I guess it's clever marketing, carving out your own path and being a big fish in a small pond. Regardless, I've put together a list of 17 sub-genres, although I encountered even more names like Cackstep. Some are just demeaning names for other sub-genres and some are just too unique. Gorestep is one like this that I included because it's gaining in its influence and will lock it's place in this list soon enough. It's hard to describe each of these by their subtly unique sounds. It requires a bit of acquiring the taste and then becoming accommodated enough to notice the differences. So what I've done is include a picture or GIF to describe it visually. Also, you'll find links to artists that specialize in each sub-style. This is what it feels like the first time you hear dubstep. It'll most likely be of the classic style and it'll be like nothing you've ever heard before. You'll feel small, a little nervous as the song builds up the first rise towards the drop... and then you're in love. Classic Dubstep uses all of the wobbles, wubs, glitches, and blips you hear in all of the sub-genres and other genres of electronic music. Great examples of the classic style are Rusko and Kode 9. Filthstep is the lo-fi, Super Nintendo cousin of Dubstep. It's somewhere between Nerdcore and Seattle garage band music. It sounds like a 5th generation copy of a cassette tape half the time. That's one part of the "filth" term. The other is that its very noisy and rhythmically aggressive and not very melodic. Try out 16Bit for an example of this style. Wobblestep focuses on the wobble aspect of Dubstep. The wobble is the heavy synthesizer bass line with smooth pitch bends that drives the low-end of the frequency spectrum. Here, it's accentuated and placed up front. This makes Wobblestep the most disorienting yet enjoyable sub-genre in the list. Check out Caspa if you want to jump out of your seat and do the dance above (zebra costume not included). One of my personal favorites, Glitchstep puts the fancy drum patterns and wobbles in the background and really spends its time focused on the glitches. The glitches are the high frequency, fast paced sounds that you'd expect to hear in a UFO. Think of the sound you hear when Neo first gets sucked into the Matrix when he touches that mirror. That's Glitchstep's feel. For a good time, call Bassnectar. Timestretch is a great album. Another favorite of mine. Purists hate it, call these guys sell-outs, etc. But it's dope. I love the hip-hop influence and vocal samples. It focuses on the glitches and blips with lots of syncopated drum breaks and dynamic fluctuations in the feel of the song. While some don't like the progression of the sub-genre, it simply feels mature and has widespread appeal. Skrillex is the Brostep poster child, but Datsik and Excision are other great examples. Half-Step produces an interesting feeling. By programming the drums at half-time, the other elements of the song feel like they are at twice the tempo at times. It can feel less aggressive and demanding of your energy, but can still give you that adrenaline rush. The cognitive dissonance of being chill but needing to head-bang will confuse and excite your brain and ears. Benga is the Half-Step go-to guy and Loefah offers just as much. My absolute favorite sub-genre of dubstep... The picture above captures the feeling perfectly. It's like being in a psychedelic forest like you might see in the movie Avatar, but it's all somber and makes you reminisce of days when the kingdom was at peace. But soon the prophecy will be fulfilled and solace will return to the land. It's got a lot of fantasy elements to it's lyrical content. I have to urge you to check out Skrux, pronto. Post-Dubstep is the cultural and philosophical advancement of the typical Dubstep sound. It's an attempt at maturation and forward movement by the intellectuals of the genre. To further this growth, these artists have dropped down from the usual 140 BPM's to 130 beats per minute as their tempo. They've also, in addition to the UK Garage, Drum & Base, Grime, and other electronic genres, have brought in elements of ambient music and even R&B. There's a ton of these artists out there, but if I had to choose a couple, I say check out James Blake and Joy Orbison. Here's where some folks are going to get mad at this list. Gorestep is small and is used to describe one guy's music. However, he's influencing a lot of the upcoming Dubstep artists and this style will grow into it's own in the coming years. Gorestep feels like a mixture of Trap music, the sparse rap production style, and Dubstep. Rappers are tapping Gorestep producers for songs much like Pop artists are now seeking out Brostep artists. It'll be huge, bigger than it already is, as the United States plays catch-up with the United Kingdom. 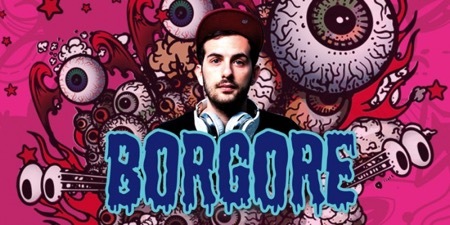 The one and only: Borgore. I really like Neurostep as well. It feels a bit like Brostep but focuses on science fiction and philosophical content and sound. For instance, the artists I'm about to suggest have a song called Substance Abuse about the psychedelic effects of a chemical called "nepetalactone cycloalkane, that is... catnip." You have to check out Dodge & Fuski and you'll understand this sub-genre immediately. Their EP Sucker Punch is what's up. Robostep makes me think of listening to Dubstep while in the cockpit of a Jaegar, the giant mecha-robots of Japanese sci-fi lore. It features sounds like electricity flowing, hydraulics and pneumatics, and metal moving. You'll feel like you're ready to kill intergalactic aliens by the time the beat drops. Kutz is the quintessential option here these days. Hardstep uses classic B-Boy samples and sounds while still sounding like Dubstep. It's not remotely as frantic as the fast-chopping Jungle or Filthstep sounds, but still manages to sound moody without going dark like the Techstep styles. Try Evol Intent and Ewun to get a feel for this style. 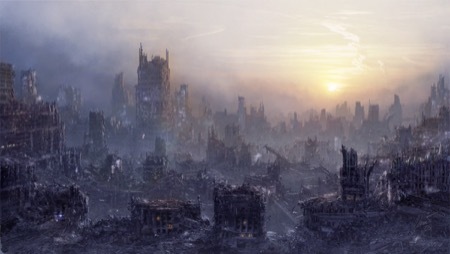 Techstep sounds post-apocalyptic to a degree. It has a huge sci-fi influence peeking through. The drums are highly quantized and synthetic, instead of humanistic. It draws a lot from the industrial and techno scenes as well. Often called Skullstep and Clownstep as well. To grasp this sound, check out none other than Black Sun Empire. Perhaps the strangest amalgamation next to Ganjastep, Deathstep is the mash-up of Death Metal and Dubstep. Yep, all the way to the heavily distorted guitars and Screamo vocals. It's cool for sure, especially if you're into metal. It tends to stray from the proto-typical Dubstep song structures more than any other sub-genre. The most well-known Deathstep artists are Abdukted and Singaya (aka DJ Skull Vomit). Drumstep is very much like Half-Step except the tempo is pushed on up to around 160-180 BPM's. With the drums rocking at half-time, yet the tempo faster, it still feels as hype as normal Dubstep but as all of effects of Half-Step. In Drumstep, the high hats don't follow the half-time rule, and may blast at you as tight as 16th and 32nd notes! For Drumstep, I recommend Hazard and Taxman. Try on Digital Mystikz for size and damage your hearing. 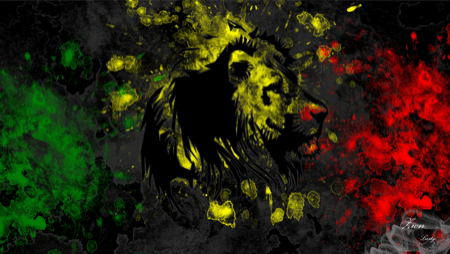 Saving one of the most interesting for last, Ganjastep is a mixture of Reggae and Dubstep. It's relaxing and hype at the same time. It uses a lot of the Reggae orchestration and arrangement with the Dubstep drums and wobbles. It's not huge yet but I imagine, like Gorestep, that this will grow where there's at least one Ganjastep sounding song per album eventually. It'll be expected. My favorite that touches on this sub-genre is Kromestar. That's All She Wrote! Who Knew Dubstep Was So Complicated? This list was limited to 17. I imagine if you didn't want to be picky, a list of all of the sub-genres of Dubstep could reach up to 25 or even 30. If you disagree about anything on this list, please feel free to argue with me on social media using the buttons below. Chillstep will be the soundtrack to my side of the debate!